Look stunning and stylish in these full color cardigans. They feature a front "V", elasticized cuffs, and two front pockets along side the button placket. Two-color twill letters are stitched down the left side, and your organization's crest is embroidered into a twill patch over your heart. 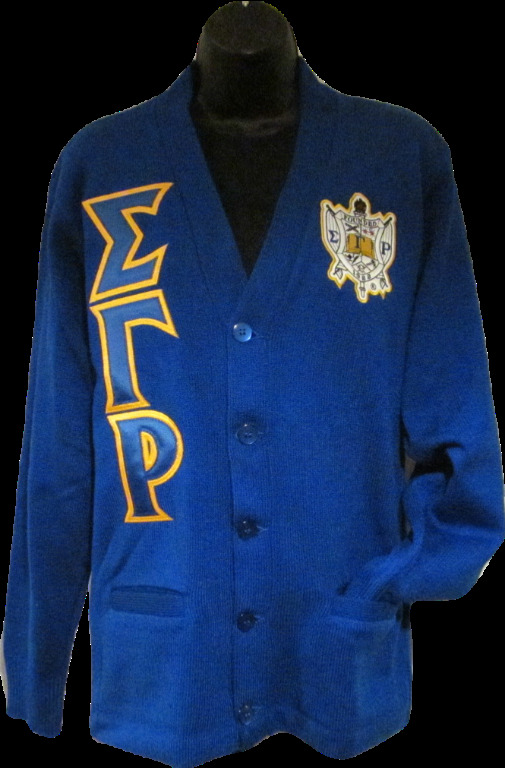 Perfect for meetings, work, play or community service - these cardigans are a classic way to show off your letters.